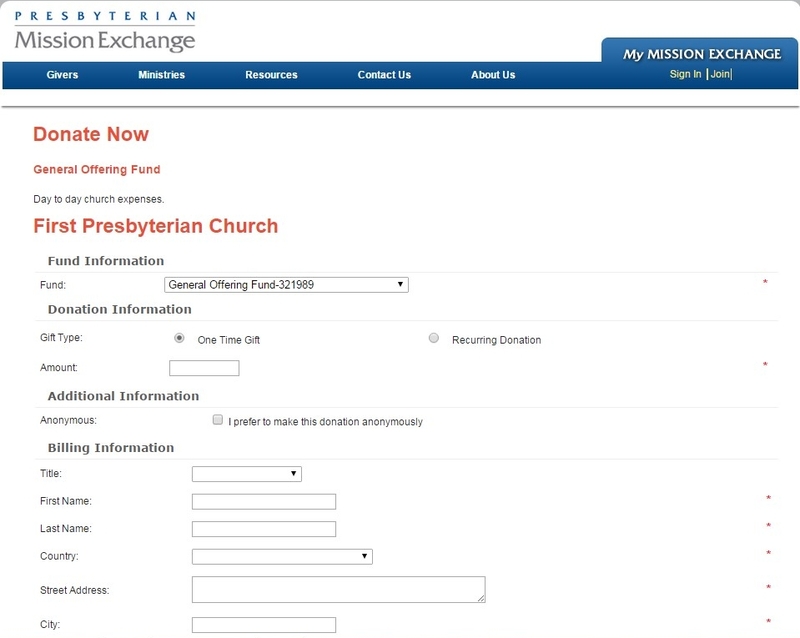 Setting up a recurring donation online is an easy way to continue regular contributions when you are not able to attend worship. When debit and credit cards expire, or if a donor changes a credit card, the donor may forget to transfer this information for recurring donations. 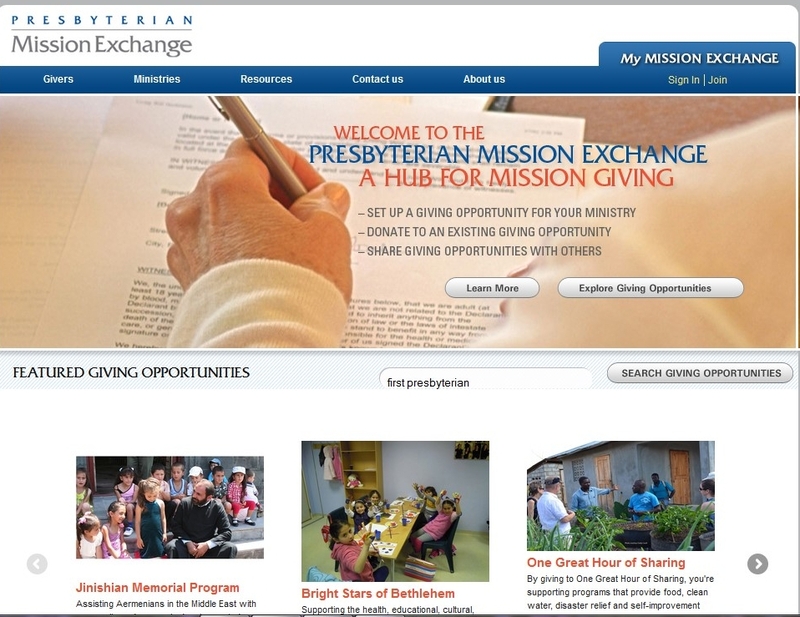 The Presbyterian Mission Exchange Team will contact donors on your behalf when this happens, so your ministry will continue to receive funding. But a good way to avoid this potential problem is to encourage payment via electronic funds transfer, or EFT, from the donor's checking or savings account. People do not change bank accounts as often as they change credit cards. Whereas a 1% transaction charge is deducted from donations made by credit/debit card and EFT transfer, the EFT gift does not incur a credit card payment-processing fee. 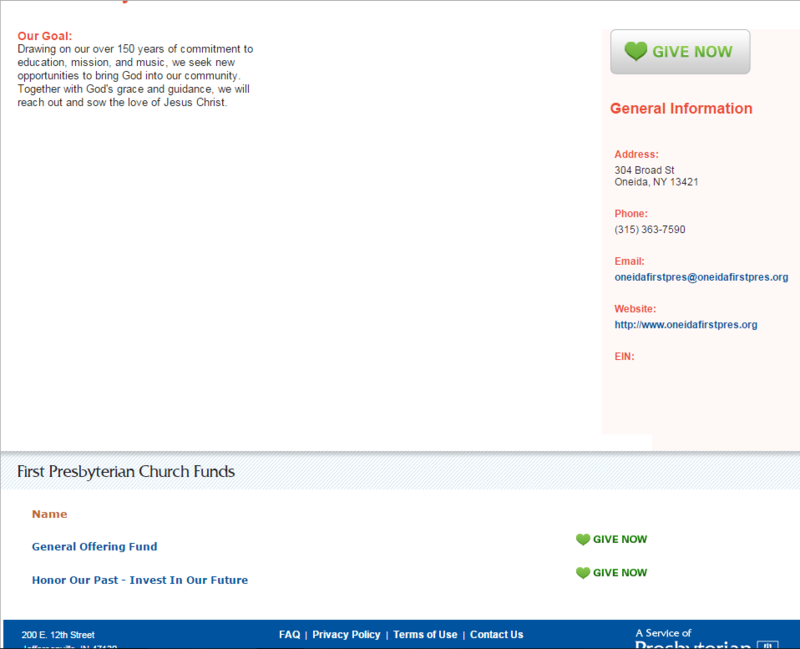 You may want to encourage EFT transfers from the very beginning so that more of the donation goes to your ministry. You can still pay the way you always have, by cash or check in the offering plate or by mailing it in. Please review the following Instructional Guide for online contributions. I have included images of each page as they should appear........ NOTE: these samples are facsimiles. Therefore, the links do not work on this page. They will work on the real website! 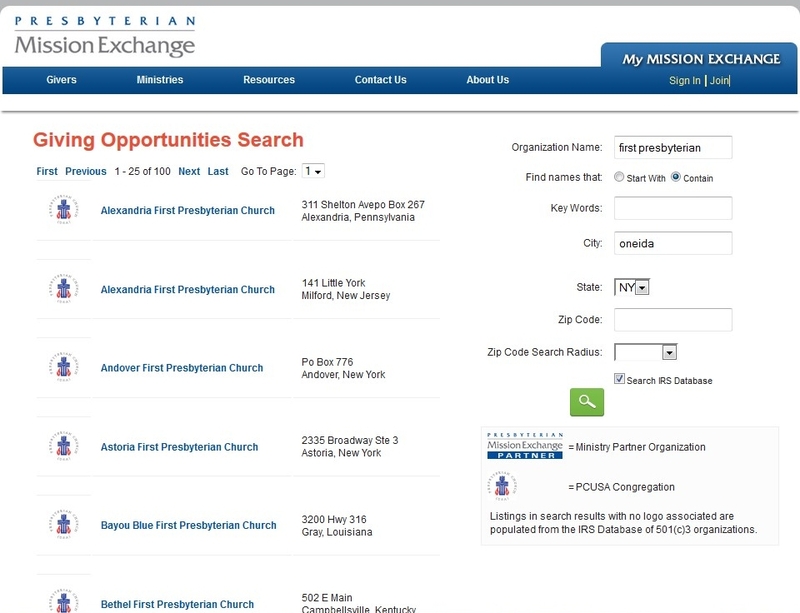 Note the link, "Search Giving Opportunities"
III. 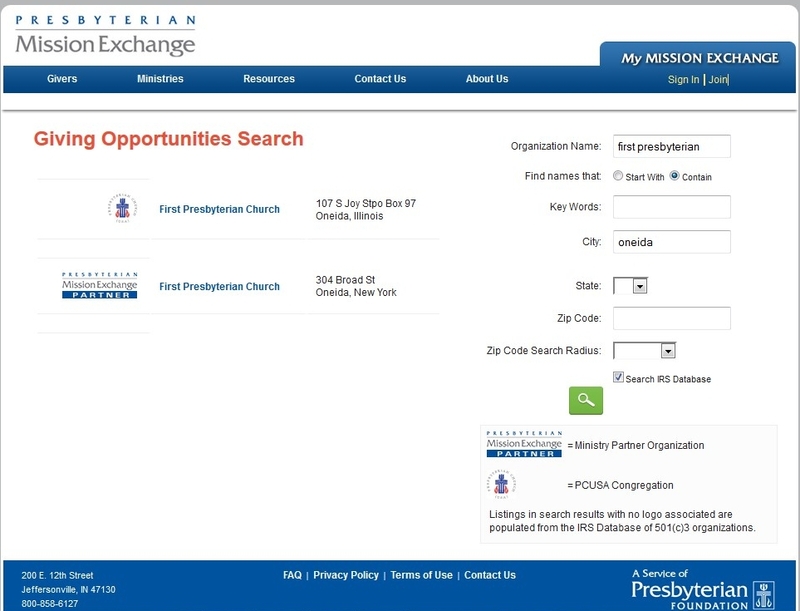 A new page appears with a link for Oneida First Presbyterian Church. name and its bank account number.